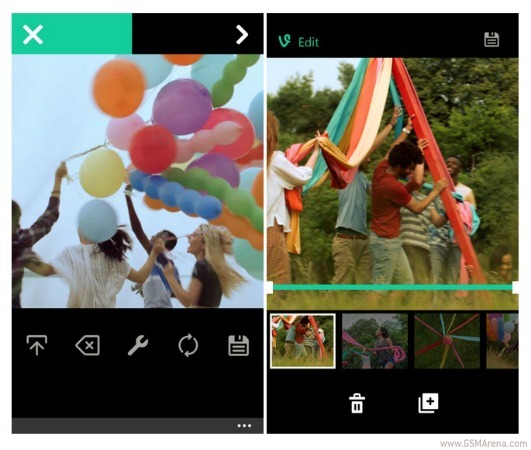 Vine’s official app for Windows Phone 8.1 has received a pretty big update today, which brings it a few new features. First off, you can now import videos from your camera, just by tapping the new icon in the bottom left corner. You are also able to edit your Vine, rearranging clips or getting rid of those you don’t need. Drafts can be saved too, so later you may pick up from where you left off. Vine Messages let you share Vines privately with friends. This functionality has its own icon at the top right. And through Vine Messages, you can text your friends as well. Loop counts show you how many times people have watched a Vine loop, be it in a Vine app or on the Web (including through embeds or tweets). The new Activity feed tells you when one of your Vines got a lot of likes or loops, and it also lets you know when one of your friends has joined Vine. Finally, you can now choose a color to customize your profile with (from the Settings menu).